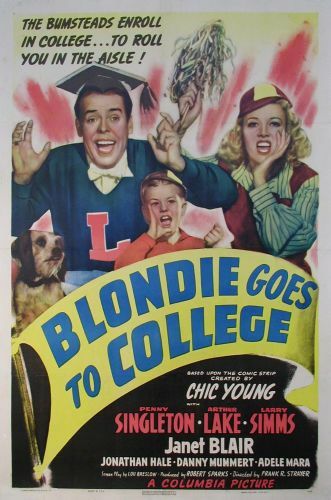 One of the most fondly remembered of the "Blondie" series entries, Blondie Goes to College is predicated on the notion that Dagwood Bumstead (Arthur Lake) must receive a college diploma or lose his job with the Dithers Construction Company. 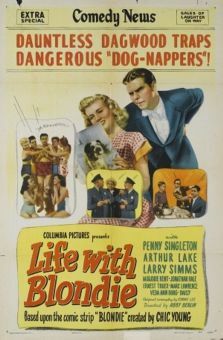 Not wishing to be separated from her husband, Blondie (Penny Singleton) enrolls in college as well-but the rules stipulate "no married couples", forcing our hero and heroine to pretend that they're not married. 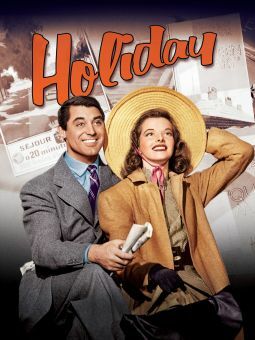 This causes quite a dilemma when coed Laura Wadsworth (Janet Blair) begins flirting with Dagwood and B.M.O.C. 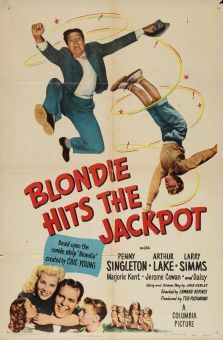 Rusty Bryant (Larry Parks) does same with Blondie. Making things worse-Blondie is expecting another child (who will make her first appearance in the next installment, Blondie's Blessed Event), but she daren't tell anyone lest both she and Dag be expelled. 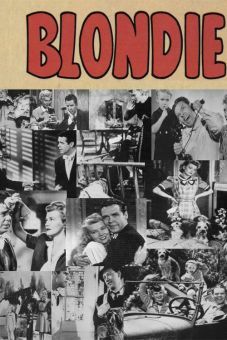 The student body at this particular seat of learning is comprised of quite a few familiar faces (most well past college age), including Lloyd Bridges, Sid Melton, and Adele Mara. 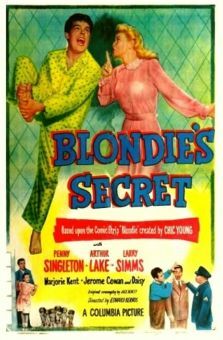 The biggest laughs in Blondie Goes to College are garnered by famed double-talk expert Al Kelly, playing an uncredited cameo as a tangle-tongued professor.